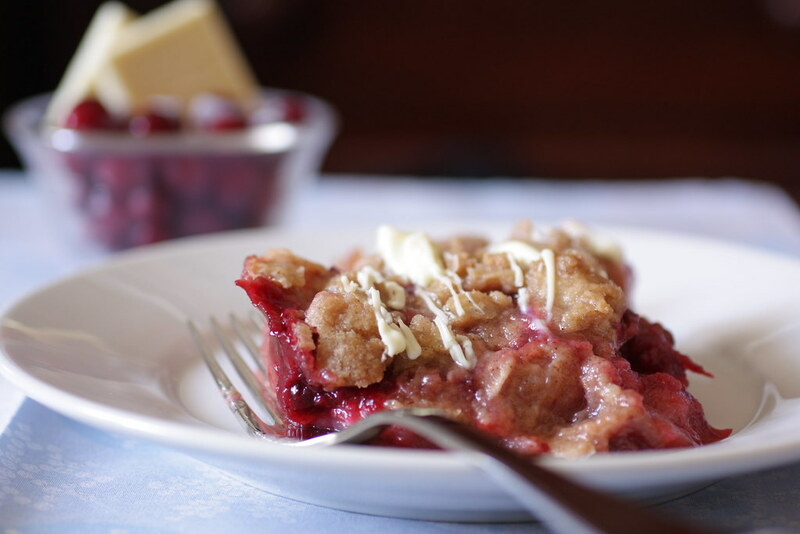 To celebrate, here is a recipe I put together earlier this fall, to highlight local, seasonal produce: Cortland and McIntosh apples, and fresh cranberries. The spices and fruit flavors simply scream the holidays to me. But I do have a confession. 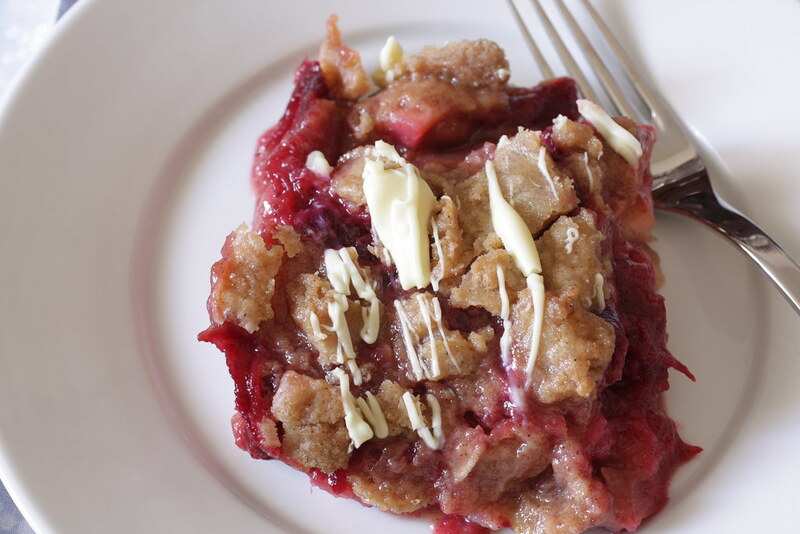 Originally, this recipe was supposed to be a pie with a crumble topping. But when the crust was ready to be blind-baked for 10 minutes (to help ensure a crisp crust on the bottom), I discovered I had nothing to weight it with. I crossed my fingers and tried to bake it a few minutes without weights…Well, if you’ve ever done that yourself, you know it doesn’t work. The edges of the crust just sort of sink. So I tossed the crust, switched baking dishes, and turned the dish into a crumble reminiscent of the holidays. Combine the cranberries, sugar, orange juice, orange zest, and spices in a medium saucepan over moderately-high heat. Bring to a boil, stirring occasionally, until the cranberries pop and the sauce thickens (you should be able to drag your spoon across the bottom of the pan without the sauce filling in the gap). Remove from heat and stir in Grand Marnier. Set aside. Combine the apples, flour, sugar, lemon juice, cinnamon, and sea salt in a large bowl. Stir and let sit for 10 minutes. Meanwhile, add the ingredients for the crumb topping in a medium bowl. Mix with your fingers until it resembles a cookie dough. Set aside. Lightly grease a 7 1/2×11 inch (or slightly larger) glass baking dish. Add apples, then dollop the cranberry mixture on top. Sprinkle crumb mixture over the top. 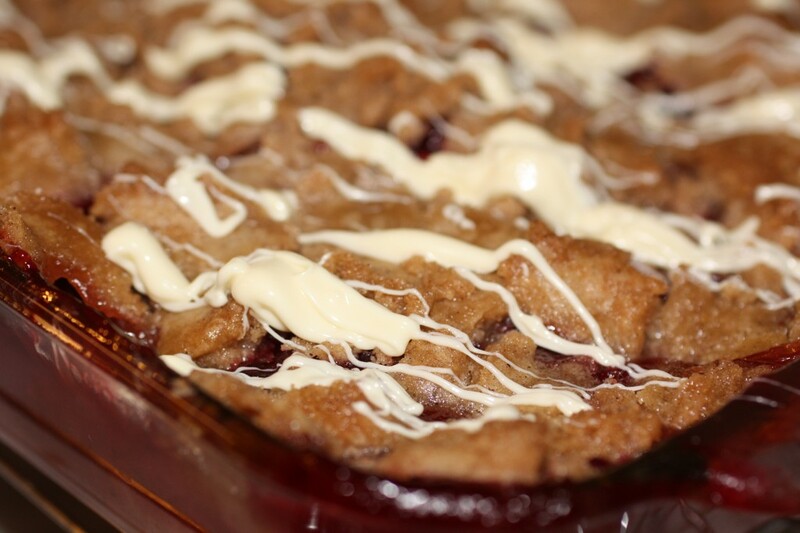 Bake 30-40 minutes, or until the topping is golden and the fruit is bubbly. Cool for 60 minutes, then drizzle with melted white chocolate and serve.